Harakat Ahrar al-Sham al-Islamiyya (Arabic: حركة أحرار الشام الإسلامية‎, translit. Ahrār al-Shām, lit. 'Islamic Movement of the Free Men of the Levant'), commonly referred to in English as Ahrar al-Sham, is a coalition of multiple Islamist and Salafist units that coalesced into a single brigade in order to fight against the Ba'athist government led by Bashar al-Assad during the Syrian Civil War. Ahrar al-Sham was led by Hassan Aboud until his death in 2014. In July 2013, Ahrar al-Sham had 10,000 to 20,000 fighters, making it the second single most powerful unit fighting against al-Assad, after the Free Syrian Army. It was the principal organization operating under the umbrella of the Syrian Islamic Front and was a major component of the Islamic Front. It is the largest rebel group in Syria. The group along with Jaysh al-Islam are the main rebel groups supported by Turkey and Saudi Arabia. The group aims to create an Islamic state under Sharia law, and is openly allied with Al-Nusra Front (the branch of Al-Qaeda in Syria) with which it carries out joint operations. Syria, the United Arab Emirates, Russia, Iran and Egypt have designated Ahrar al-Sham as a terrorist organization. Some U.S. officials have reportedly considered designating it as a terrorist organization because of its alleged links to al-Qaeda, while several European states have attempted small-level engagements with individual Ahrar al-Sham political officials in Turkey. According to the U.S. Department of State, "Ahrar al-Sham is not a designated foreign terrorist organization". The first Ahrar al-Sham brigades were formed just after the Egyptian revolution, and before the Syrian Revolution started in 2011. Most of the group founders were Islamist political prisoners who had been detained for years at the Sednaya prison until they were released as part of an amnesty by the Syrian Government in March–May 2011. At the time of its establishment in late 2011, Ahrar al-Sham consisted of about 25 rebel units spread across Syria. It has expanded since then; by July 2012, the group's website listed 50 units, and by mid-January 2013, the number had increased to 83 units. Most of these units are headquartered in villages in Idlib Governorate, but many others are located in Hama and Aleppo. Some Ahrar al-Sham units that have been involved in heavy fighting include the Qawafel al-Shuhada and Ansar al-Haqq Brigades (both in Khan Sheikhoun, Idleb Province), the al-Tawhid wal-Iman Brigade (Maarrat al-Nouman, Idleb Province), the Shahba Brigade (Aleppo City), the Hassane bin Thabet Brigade (Darat Ezza, Aleppo Province), and the Salahaddin and Abul-Fida Brigades (both in Hama City). Members of the group are Islamists. Ahrar al-Sham cooperates with the Free Syrian Army and other secular rebel groups; however, it does not maintain ties with the Syrian National Council. Although they coordinate with other groups, they maintain their own strict and secretive leadership, receiving the majority of their funding and support from donors in Kuwait. Ahrar al-Sham is one of the best-armed and most powerful rebel factions active in the Syrian Civil War. It progressed from the use of improvised explosive devices and small-arms ambushes in early 2012 to assuming a lead role in large-scale sustained assaults on multiple fronts by 2013. The capture of materiel from the Syrian Armed Forces enabled Ahrar to regularly deploy tanks and mobile artillery and anti-tank guided missiles. It occasionally employed 1990s-era Croatian rocket and grenade launchers. Ahrar al Sham was involved in every major rebel victory over Syrian Government forces between September 2012 and mid-2013. Ahrar grew significantly by absorbing into its ranks other rebel factions from the Islamic Front and the Syrian Islamic Front which preceded it. The Islamic Movement of Free Men of the Levant is an Islamist, reformist, innovative and comprehensive movement. It is integrated with the Islamic Front and is a comprehensive and Islamic military, political and social formation. It aims to completely overthrow the Assad regime in Syria and build an Islamic state whose only sovereign, reference, ruler, direction, and individual, societal and nationwide unifier is Allah Almighty’s Sharia (law). Translated into English by Malak Chabkoun at the Al Jazeera Center for Studies. The group has a Syrian leadership and "emphasizes that its campaign is for Syria, not for a global jihad". However, according to US intelligence officials, a few al-Qaeda members released from prisons by the Syrian government have been able to influence actions of the group, and install operatives within the senior ranks of Ahrar al-Sham. Such ties were not disclosed publicly until January 2014, when a former senior leader of Ahrar al-Sham, the now deceased Abu Khalid al-Suri, acknowledged his long-time membership in al-Qaeda and role as Ayman al-Zawahiri's representative in the Levant. In its first audio address, Ahrar al-Sham stated its goal was to replace the Assad government with an Sunni Islamic state, however it acknowledged the need to take into account the population’s current state of mind. It also described the uprising as a jihad against a Safawi plot to spread Shiism and establish a Shiite state from Iran through Iraq and Syria, and extending to Lebanon and Palestine. Ahrar al-Sham has claimed that it only targets government forces and militia and that it has cancelled several operations due to fear of civilian casualties. It provides humanitarian services and relief to local communities, in addition to pamphlets promoting religious commitment in daily life. Ahrar al-Sham leader Hassan Aboud stated that Ahrar al-Sham worked with Nusra Front and would have no problems with Nusra as long as they continued fighting Assad, Aboud also said Ahrar worked with Islamic State of Iraq and the Levant in some battles but that their agenda was disagreeable. Aboud also said all parties shared the same objective of establishing an Islamic State, whether they were ISIS, Al Nusra, the Islamic Front, or the FSA but they differed as to the "tactics, strategies or methods". Aboud noted that in Syria "there are no secular groups". An Islamic Front Sharia Court Judge in Aleppo Mohamed Najeeb Bannan stated "The legal reference is the Islamic Sharia. The cases are different, from robberies to drug use, to moral crimes. It's our duty to look at any crime that comes to us. . . After the regime has fallen, we believe that the Muslim majority in Syria will ask for an Islamic state. Of course, it's very important to point out that some say the Islamic Sharia will cut off people's hands and heads, but it only applies to criminals. And to start off by killing, crucifying etc. That is not correct at all." In response to being asked what the difference between the Islamic Front's and ISIS's version of sharia would be, he said "One of their mistakes is before the regime has fallen, and before they've established what in Sharia is called Tamkeen [having a stable state], they started applying Sharia, thinking God gave them permission to control the land and establish a Caliphate. This goes against the beliefs of religious scholars around the world. This is what [IS] did wrong. This is going to cause a lot of trouble. Anyone who opposes [IS] will be considered against Sharia and will be severely punished." Ahrar al-Sham and the Islamic Front in general issued condolences for Afghan Taliban leader Mullah Omar upon his death. At the border crossing of Bab al Hawa on the Syria-Turkey border, the white "Flag of Tawheed" was raised by Ahrar al Sham. When interviewed by the Financial Times on 14 August, Ahrar al-Sham commander Eyad Shaar said "We are not from Mars. We are part of Syrian society and the international community. . . We want to be part of the solution,"
Ahrar al-Sham's political representative claimed to International Business Times in December 2015 that Ahrar al-Sham are "not related with al Qaeda, we only fight with them against Assad and ISIS". In the media discussions about foreign support often center on the weapons that foreign powers provide to their proxies. However, in reality money is just as important as weapons. As soon as a soldier / rebel has to fight away from his home, the rebel group has to pay at least his sustenance, and in practice some more. For Ahrar the amount of financial aid it got from abroad might be the very reason it became so powerful. Donations from supporters abroad were important for Ahrar's growth. Saudi Arabia, Qatar and Turkey have been actively supporting Ahrar al-Sham. A statement issued by Ahrar al-Sham thanked Turkey and Qatar for their help. By 2013 the Kuwaiti private fund Popular Commission to Support the Syrian People, managed by Sheik Ajmi and Sheik, Irshid al-Hajri had supported Ahrar with USD 400,000, for which Ahrar recorded a public thank you. The Islamic Front and Ahrar al-Sham in particular have received weapons from Turkey according to German intelligence. Ahrar al-Sham was credited for rescuing NBC News team including reporter Richard Engel, producer Ghazi Balkiz, cameraman John Kooistra and others after they were kidnapped in December 2012. While Engel initially blamed pro-Assad Shabiha militants for the abduction, it later turned out that they were "almost certainly" abducted by an FSA affiliated rebel group. On 13 May 2016, Amnesty International named Ahrar al-Sham as one of the groups responsible for "repeated indiscriminate attacks that may amount to war crimes" and reported allegations of their use of chemical weapons. There were around 500 people in Ahrar al-Sham in August 2012. In December 2012, a new umbrella organization was announced, called the Syrian Islamic Front, consisting of 11 Islamist rebel organizations. Ahrar al-Sham was the most prominent of these, and a member of Ahrar al-Sham's, Abu 'Abd Al-Rahman Al-Suri, served as the Front's spokesman. 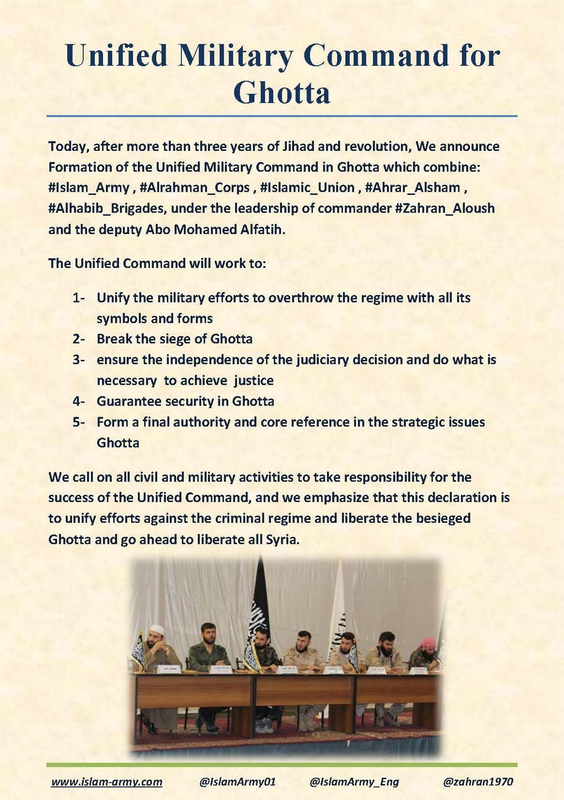 In January 2013, several of the member organizations of the Syrian Islamic Front announced that they were joining forces with Ahrar al-Sham into a broader group called Harakat Ahrar al-Sham al-Islamiyya (The Islamic Movement of Ahrar al-Sham). In September 2013, members of ISIL killed the Ahrar al-Sham commander Abu Obeida Al-Binnishi, after he had intervened to protect a Malaysian Islamic charity; ISIL had mistaken its Malaysian flag for that of the United States. In August 2013, members of the brigade uploaded a video of their downing of a Syrian Air Force MiG-21 over the Latakia province with a Chinese-made FN-6 MANPADS, apparently becoming the first recorded kill with such a weapon. In mid-November 2013, after the Battle for Brigade 80 near the Aleppo International Airport, fighters from the Islamic State of Iraq and the Levant beheaded a commander of Ahrar al-Sham forces, mistaking him for an Iraqi Shiite pro-government militiaman. In November 2013, the SIF announced that it was dissolving, and that its components would henceforth operate as part of the newly formed Islamic Front. In December 2013, there were reports of fighting between ISIL & another Islamic rebel group in the town of Maskana, Aleppo; activists reported that the Islamic rebel group was identified as Ahrar al-Sham. On 23 February 2014, one of the top commanders and al-Qaeda representative, Abu Khalid al-Suri, was killed in a suicide bombing in Aleppo, organized by ISIL. On 9 September 2014, a bomb went off during a high level meeting in Idlib province, killing Hassan Abboud, the leader of the group, and 27 other senior commanders, including military field commanders, members of the group's Shura council, and leaders of allied brigades. There was no claim of responsibility for the attack. The day after the bombing Abu Jaber was announced as replacement leader. In early November 2014, representatives from Ahrar al-Sham reportedly attended a meeting with al-Nusra Front, the Khorasan Group, the Islamic State of Iraq and the Levant, and Jund al-Aqsa, which sought to unite the groups against the Assad regime. However, by 14 November 2014, it was reported that the negotiations had failed. During the night of 6 November 2014, a US airstrike targeted the group for the first time, hitting its headquarters in Idlib governorate and killing Abu al-Nasr, who was in charge of receiving weapons for the group. On 24 November 2014, a US airstrike on the ISIL headquarters building in Ma'dan, Ar-Raqqah killed another Ahrar al-Sham fighter, who was being held prisoner by ISIL. The New York Times reported that the pro Al-Qaeda Saudi cleric Abdullah Al-Muhaisini ordered that Christians in Idlib were not to be killed, and that Christians were being defended by Ahrar al-Sham. However, there were subsequent reports of Ahrar al-Sham executing Christians in the city. On 26 April 2015, Ahrar al-Sham, along with other major Aleppo based groups, established the Fatah Halab joint operations room. On 14 July 2015, two suicide bombers blew themselves up at an Ahrar al-Sham Movement headquarters killing Abu Abdul Rahman Salqeen (an Ahrar al-Sham leader) and 5-6 others in Idlib province. On 21 October 2015, the Jund al Malahim operations room was created as an alliance of Ajnad al Sham, Ahrar al-Sham and Al-Nusra in Rif Dimashq. On 25 February 2016, a car bomb was detonated at the Russian military base in Idlib, Syria. Ahrar al-Sham claimed responsibility on their website alleging "dozens" of casualties among Russian officials. On 26 February 2016 Jaysh al-Sunna's branch in Hama merged with Ahrar al-Sham, though it's northern Aleppo branch was not a part of this merger. ↑ 'Syria Talks: Rebel Negotiations In Saudi Arabia Exclude Key Players In Syrian Opposition'. International Business Times, 13 December 2015. Retrieved 27 January 2016. ↑ Syrian Civil War: 'At Least 45' Killed as Blast Hits Meeting of Islamist Insurgents International Business Times. 9 September 2014. Retrieved on 2014-09-09. This page was last modified on 31 May 2016, at 11:49.